Deep pore cleanser. Rejuvenating minerals. Intense firming mask. 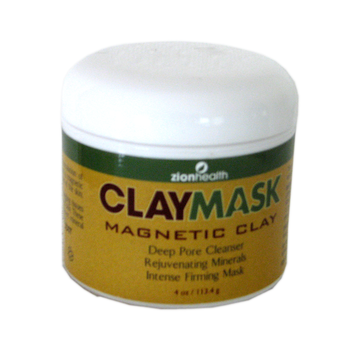 This ancient clay pulls impurities to the surface until the skin is completely clear. Your skin will glow with raidance after regular use. Chamomile, sea kelp, meadowsweet, kanwa clay, sage, colsfoot, yarrow, rosemary, althea, balm mint, wild thyme & horsetail, kaolin, citric acid, witch hazel distillate, zinc oxide, glycerin, magnesium aluminum silicate, stearic acid, glycereth 7 cocoate, panthenol, allatoin, mixed tocopherols, phenoxyethanol & ethyl hexyl glycerin ( rose essence). Apply a generous layer over face and troubled areas. Leave on for 5 - 20 minutes. Rinse with warm water. For intense cleaning, apply at night and rinse off the following morning. For prevention of toxic build up. Continue daily use.